The Porsche 917 gave the German auto manufacturer its first win at the 24 Hours of Le Mans in 1970 and 1971, following the historic wins by the Ford GT40 in 1966. 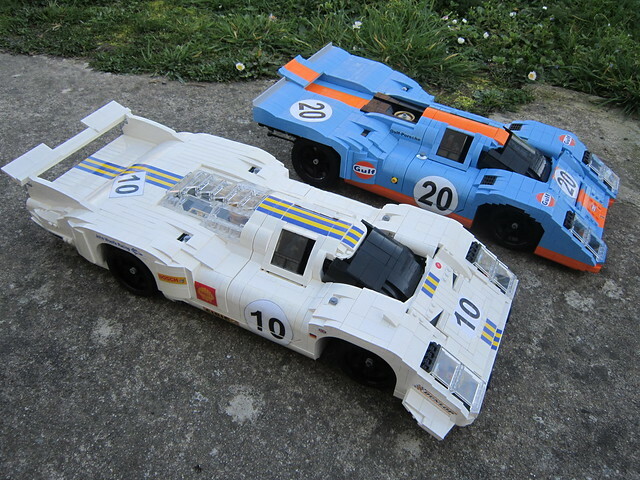 Talented LEGO race car builder Greg_998 has recreated both the 917LH in white with blue and yellow trim and the 917K in gorgeous Gulf Oil livery. Both of these cars are deceptively huge, as this photo with the builder shows. This enables Greg to incorporate lots of detail, as well as achieving complex, compound curves with a variety of curved slopes. 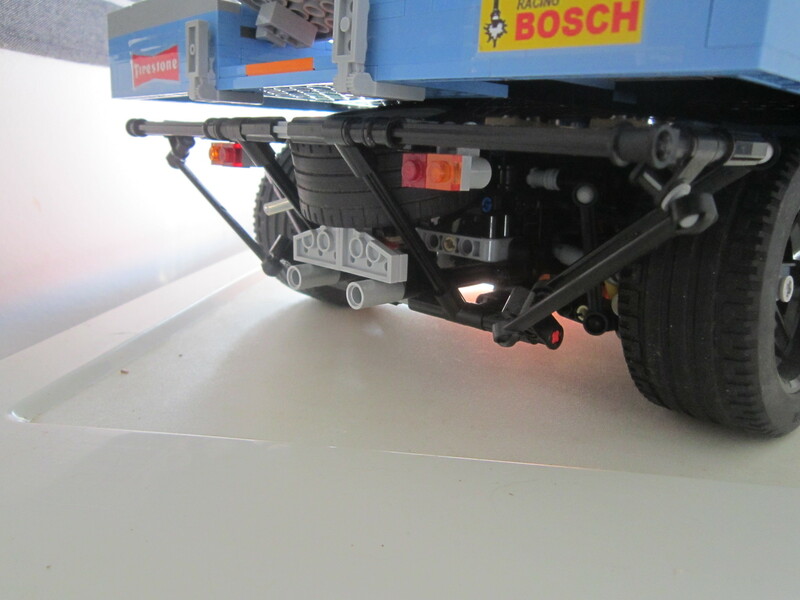 One of my favorite details is the area under the rear deck, with a spare tire. Be sure to check out the builder’s Flickr photostream to see more Porsche 917 variants.